A witness helped save the day in Lincoln Square this morning, flagging down passing cops to report seeing a man putting a mask on his face as he walked into a nearby bank just after 9 a.m. The officers rushed to Albany Bank, 4400 North Western, and interrupted the hold-up in progress, according to reports. One man was taken into custody. 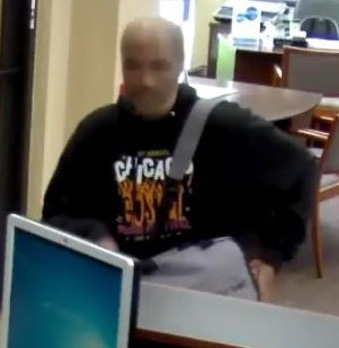 A bank security guard pepper-sprayed as the would-be robber—who was wearing a nylon mask or pantyhose over his face. The FBI today confirmed that the Albany Bank branch was robbed, but provided no specifics.